The Sonos S5 delivers exactly what its suppose to do. If you park your iPhone into a standard iPod speaker dock to listen to music, you have to rely on a credit card remote that doesn't control much since you can't see your music choices, plus now you don't have your phone with you. Sonos solves this problem with the S5, which DVICE got a demo of Wednesday afternoon and which will go on sale Nov. 3 for $400. No, this is not another Sonos system add-on. 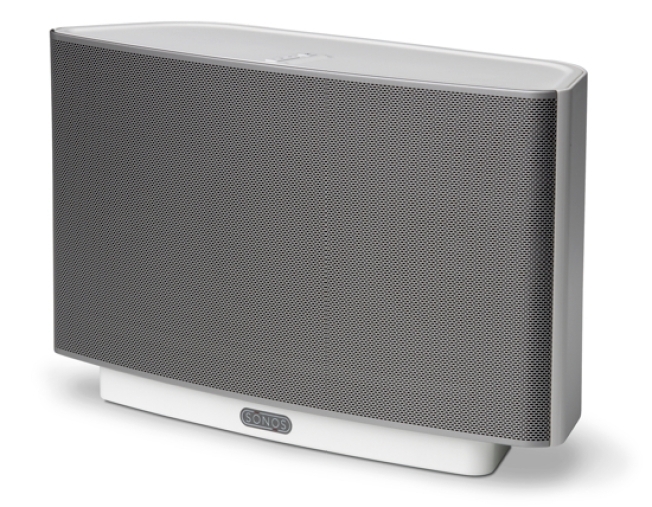 The S5 is a standalone WiFi speaker that gives you access to your PC or Mac-based music, controlled by the Sonos app on your iPhone or iPod Touch. Choose the songs you want to hear, view the tune queue, access Rhapsody or Pandora or other Internet radio apps or stations, and control volume from anywhere in your house within WiFi range - and you still have your iPhone, which continues to operate as usual. Answer calls, snap pictures, surf the Web - and control your music. You will have to wander over to mute the S5 if a call comes in. The S5 is about the size of the Bose SoundDock 10, maybe a little thicker. There are just two buttons on it, up top - mute and volume. There is no dock, so you can't charge your iPhone on it. You can sprinkle additional S5s around your house, all of which can be controlled from one or multiple iPhones. How's it sound? Sonos has concentrated less on separation and soundstage - after all, you're not likely to be using a speaker dock for critical listening - and more on off-axis listening. You don't lose a whole lot of sound standing off to the side. S5 suffers a bit in the mid-range, but pumps out plenty of bass and treble, which is what you want and need in a party situation. Rhapsody, SIRIUS XM Internet Radio, and downloads from any DRM-free site.